Jio two years ago sparked the 4G revolution in India with its public rollout of affordable telecom services. 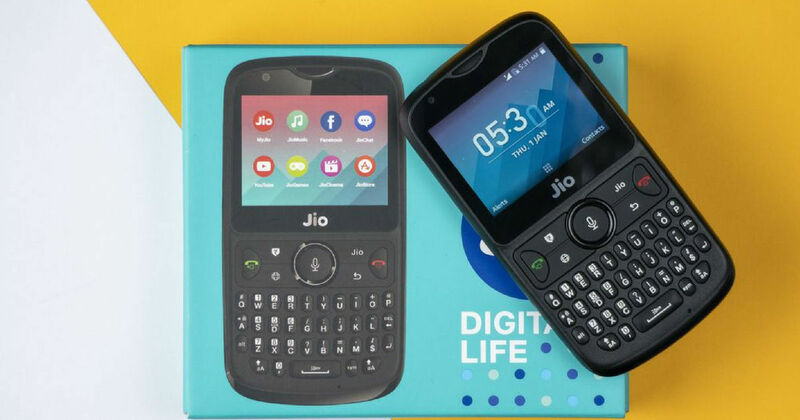 The company went on to offer smart feature phones dubbed the Jio Phone (first impressions) and Jio Phone 2 (review) to bring the high-speed Internet access to those still stuck on 2G networks. While the first generation Jio Phone was one of the cheapest 4G offering, the second generation feature phone sports a QWERTY keyboard for easier typing. Now, a rumour suggests that the telco is all set to launch the Jio Phone 3 this year, but it may be a lot different from its predecessor. The latest report comes from BeetelBite, who managed to get the information from a Reliance Jio executive. What’s interesting is that this time around, the company is opting for a smartphone instead of a feature phone. The Jio Phone 3 price in India has been tipped to be Rs 4,500, which is a significant bump over its predecessor. However, we can expect Jio to come up with yet another cashback offer like it has done in the past to lower the effective price. According to the report, the Jio Phone 3 will be announced in June 2019 and made available for purchase in India starting August. The Jio executive revealed that the offline stores like Jio Stores and Reliance Digital outlets will start receiving the stock in July 2019. The pre-orders for the smartphone will kick off the same month. It is not yet clear whether the upcoming Jio Phone 3 will be a full-fledged Android smartphone or run a powerful version of KaiOS that powers the 4G feature phones. The report suggests that the upcoming model could be an Android Go Edition smartphone, which is usually an entry-level offering. The report further reveals that the smartphone will ship with a 5-inch touchscreen display. There is no word regarding the processor onboard, though the phone will reportedly have 2GB of RAM and 64GB of user-expandable onboard storage. In the camera department, the Jio Phone 3 is speculated to have a 5-megapixel shooter on the rear panel and 2-megapixel camera on the front. Unfortunately, this is all that’s known about the upcoming smartphone at the moment.